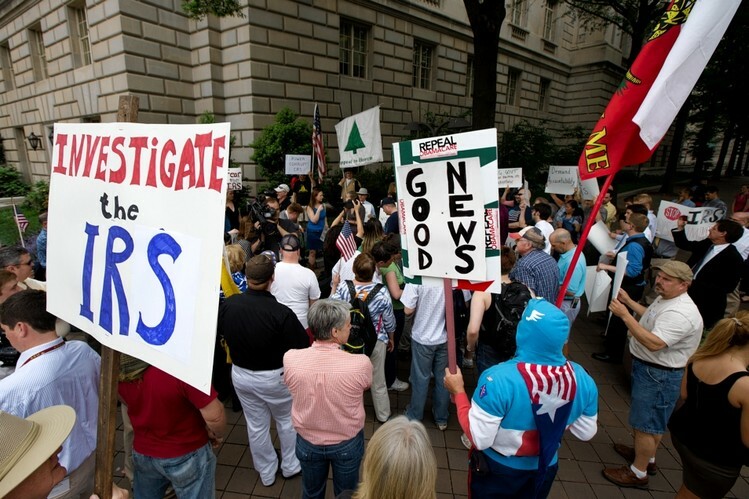 An Antidote to Cynicism Poisoning Restoring public faith will require a full investigation of the IRS's politicization. The Benghazi scandal was and is shocking, and the Justice Department assault on the free press, in which dogged reporters are tailed like enemy spies, is shocking. Benghazi is still under investigation and someday someone will write a great book about it. As for the press, Attorney General Eric Holder is on the run, and rightly so. They called it the First Amendment for a reason. But nothing can damage us more as a nation than what is happening at the Internal Revenue Service. Elite opinion in the press and in Washington doesn’t fully understand this. Part of the reason is that it’s not their ox being gored, it’s those messy people out in America with their little patriotic groups. Those who aren’t deeply distressed about the IRS suffer from a reluctance or inability to make distinctions, and a lack of civic imagination. But this scandal is different and distinctive. The abuse was systemic—from the sheer number of targets and the extent of each targeting we know many workers had to be involved, many higher-ups, multiple offices. It was ideological and partisan—only those presumed to be of one political view were targeted. It has a single unifying pattern: The most vivid abuses took place in the years leading up to the president’s 2012 re-election effort. And in the end several were trying to cover it all up, including the head of the IRS, who lied to Congress about it, and the head of the tax-exempt unit, Lois Lerner, who managed to lie even in her public acknowledgment of impropriety. It wasn’t a one-off. It wasn’t a president losing his temper with some steel executives. There was no enemies list, unless you consider half the country to be your enemies. It is considered a bit of a faux pas to point this out, but what we are talking about in part is a Democratic president, a largely Democratic professional administrative class in Washington, and an IRS whose workers belong to a union whose political action committee gave roughly 95% of its political contributions last year to Democrats. Wow. I guess that was target practice. Here is the thing. The politicization of government employees wouldn’t have worried a lot of us 40, 30 or even 20 years ago. But since then, as a country, we have become, as individuals, less respectful of political differences and even of each other, as everything—all parts of American life—has become more political, more partisan, more divided and more aggressive. There has got to be some way to break through this, to create new rules for the road in a situation like this. Because people think the IRS has always, in various past cases, been used as a political tool, they think we’ll glide through this scandal too. We’ll muddle through, we’ll investigate, the IRS will right itself, no biggie. But when a scandal is systemic, ideological and focused on political ends, it will not just magically end. Agencies such as the IRS are part of what Jonathan Turley this week called a “massive administrative state,” one built with many protections and much autonomy. If it is not forced to change, it will not. Which gets us to the part about imagination. What does it mean when half the country—literally half the country—understands that the revenue-gathering arm of its federal government is politically corrupt, sees them as targets, and will shoot at them if they try to raise their heads? That is the kind of thing that can kill a country, letting half its citizens believe that they no longer have full political rights. Those who think this is just business as usual are ahistorical, and those who think nothing can be done, or nothing serious should be done, are suffering from Cynicism Poisoning. The House wants to proceed with hearings and an investigation itself, and understandably. One reason is pride. “We are the ones who got the IRS to do the audit,” a congressman said the other night. Another is momentum: An independent counsel would take time and take some air out of the story. But Congress is operating within a lot of political swirls. The IRS certainly doesn’t seem to fear them—haven’t its leaders made that clear in their testimony so far? Congress itself is not highly regarded by the public. Didn’t I say that politely? Some members have been scared into thinking that tough hearings will constitute “overreach.” But when you spend all your time fearing overreach, you can forget to reach at all. A defensive crouch isn’t a good posture from which to launch a probe. And some members fear that if they pursue and give time to something that is not an economic issue, it will be used against them. But stopping the revenue-gathering arm of the federal government from operating as a hopelessly politicized and aggressive entity is an economic issue. It has to do with basic American faith in, and compliance with, half of the spending/taxing apparatus of the federal government. How could that not be an economic issue? There will be more hearings next week, and fair enough. But down the road an independent counsel is going to be needed because the House does not have all the prosecutorial powers an independent counsel would—the powers to empanel a grand jury, grant immunity to potential witnesses, find evidence of criminal wrongdoing, indict. Another reason to want an independent counsel: There are obviously many good, fair-minded workers in the IRS, people of sterling character. They deserve to be asked about what they were forced to put up with, what they felt they had to bite their tongues about. It would be worth an investigation that breaks open the IRS to find that person, and that moment. You have no idea how much better it would make us feel, how inspiring and comforting, too.